THE Locomotive Club of Great Britain (LCGB) has been arranging overseas tours for more than 60 years. Our tours have an excellent reputation for reaching unusual destinations and providing value for money among enthusiasts keen to enjoy the railway systems of the world. Further details of our forthcoming tours summarised below are available on our website and from the contacts shown below. Annual or temporary membership of the LCGB at very moderate cost is required to participate and travel insurance is mandatory. INDIA: January 27-February 10, 2019. This fourteen-day tour is designed for those wanting trains every day and those with more tourism interest, both together, with very good hotels. 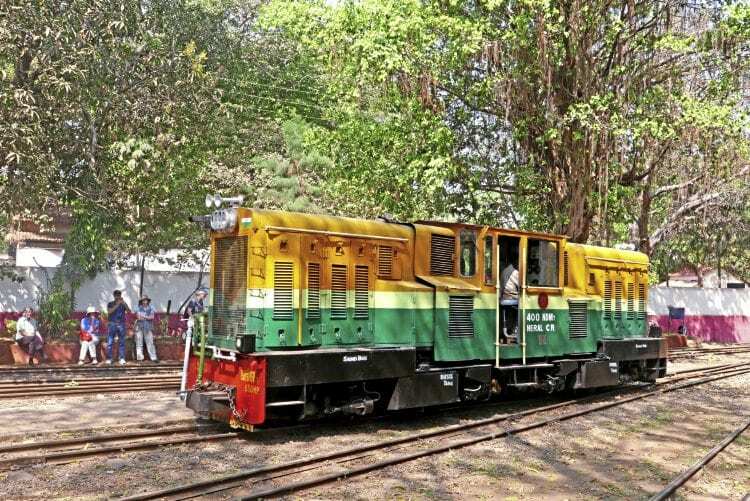 It will start at Kolkata (Calcutta) and travel by train to Thiruvananthapuram (Trivandrum) stopping at various places including Chennai (Madras), Tiruchirappalli (Trichy) and Kanyakumari, the most southerly station in India. Options will include crossing the 2km-long Pamban Sea Bridge. 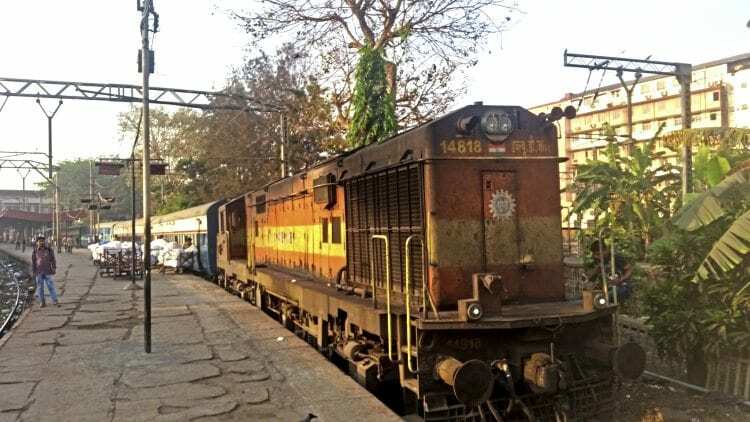 From Trivandrum we will fly to Mumbai (Bombay) to travel on the Matheran Hill Railway. For steam enthusiasts we will see various plinthed locomotives and we are hoping to have steam trains in Chennai and to Matheran. Tiruchirappalli has the major railway works of southern India, and is also responsible for the overhaul of steam locomotives. There is an optional Sunderbans national park visit before the tour. Cost estimate is £2,160 (singles £500) excluding flights from UK, but includes breakfasts and many dinners. Further details from Chris Lewis at chrislewiscll@aol.com tel: 07720 755829. TAIWAN with options for SOUTH KOREA and NORTH BORNEO: March 2019. Taiwan includes modern high-speed lines and four branch lines, two with steam and a vintage railcar. The tour also includes steam charters and photography, with depot visits, temples, museums and historic sites. South Korea includes visit to the Demilitarised Zone, including rack line plus scenic mountain lines and historic sites. Borneo includes a steam train ride and railcar over the full length of the Sabah line. Further details from Adrian Palmer at akpalmer@talktalk.net tel: 07774 859871. The visit is based at Ficksburg and returns after a very successful tour in 2017. It offers numerous opportunities for narrow gauge steam travel and dramatic sunrise photography at the Sandstone Estate. Optional main line steam charter from Bethlehem via Bloemfontein and Kimberley to Germiston (Johannesburg) – four-day duration. The LCGB aims to foster a keen interest in all aspects of railways, both at home and overseas. Founded in 1949, the club has served the hobby from the early days of Nationalisation to the current uncertainty about the future shape of the franchised railway in the UK. Today, the club’s principal activities are its highly regarded Overseas Study Tours, which it has been successfully organising for more than 60 years, and the operation of its branches, serving the interests of local members in their surrounding area. The Overseas Study Tours are meticulously researched and planned by our committee, and can vary between a comprehensive two-three week trip and a long weekend to a special event. Tours may include our own charters, public excursions and scheduled services, and all use reasonable quality hotels and restaurants. To participate in our tours, LCGB membership is compulsory for insurance and legal liability reasons. To give a flavour of the range and scope of our Overseas Study Tours, the following countries and regions are among those already visited or planned in 2018 and 2019: Baltic States, Cuba, Ethiopia, Germany, India, Netherlands, South Africa, Taiwan, South Korea and Borneo. Additionally, our branches offer regular indoor meetings, with speakers covering a wide range of historic and current subject material. The LCGB house magazine Bulletin is published 10 times a year and keeps members up to date on the club’s activities, tours and the preservation scene, together with news of overseas railways and articles by members. December sees an annual reunion meeting for members with a further reunion in January aimed at participants in Overseas Study Tours, but both are open to all members. If you are interested in finding out more about the LCGB, contact the membership secretary at: 4a, Northbrook Road, Ilford, Essex IG1 3BS and/or visit our website shown above.